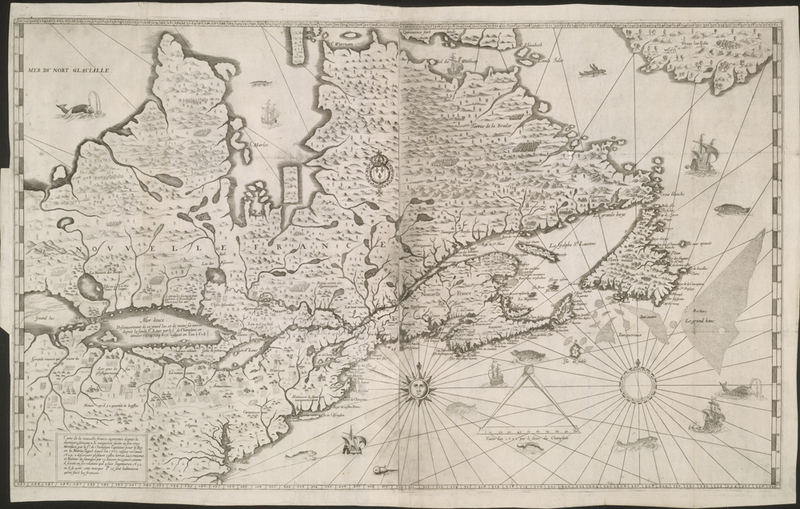 This entry was posted in Maps and Plans, Our Collection and Facilities and tagged Cartography, Exploration and settlement, Maps, New France, Samuel de Champlain by Library and Archives Canada Blog. Bookmark the permalink. 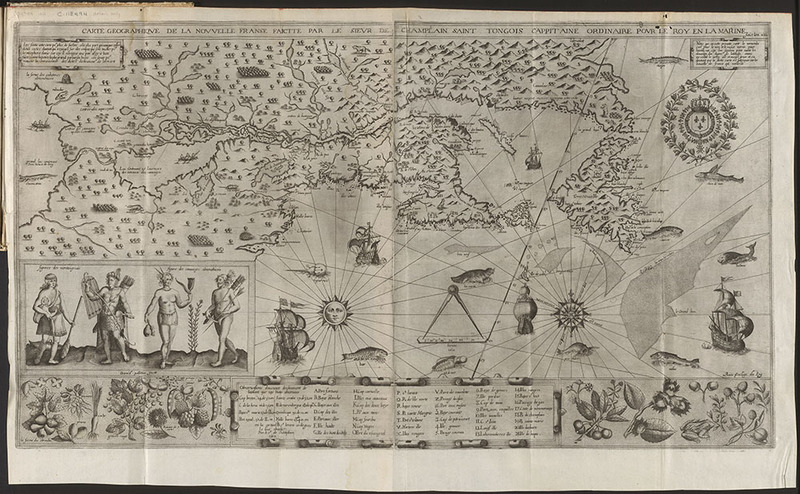 I agree with tkmorin, but what’s not to like about historic cartography? I enjoy the extraneous and obscure but helpful decoration historic maps tended to have. 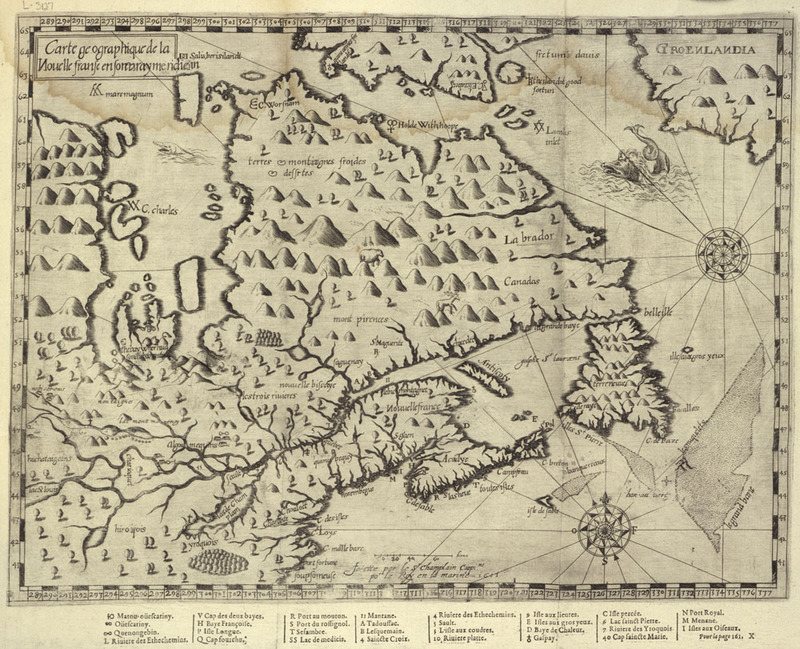 Champlain’s family background (in french).